Wine is an alcoholic beverage made from fermented grapes. Grapes ferment when yeast consumes naturally occurring sugars in the fruit and converts it to ethanol and carbon dioxide. Different varieties of grapes and strains of yeasts produce different styles of wine. Variations occur as a result of the complex interactions between the development of the grape, the fermentation reaction, the terroir (environment/geography) and the production process. Wine contains phenolic acids, flavonols, anthocyanins, catechins, glutathione, resveratrol and proanthocyanidins. In 2012, California and Washington wineries crushed around 4.5 million tons of wine grapes with nearly 1.5 million tons of waste. Grape skins, seeds and stems left behind are referred to as “pomace.” The seeds are used to produce grapeseed oil for cooking. Grapeseed polyphenol extracts are used in nutritional supplements and are being tested to treat medical conditions. Pomace extract goes into cosmetics, like the Caudalie skincare line from France and the less well-known Esdor brand from Spain's Matarromera winery group, which built a polyphenol extraction plant that uses up to 1,482 kilograms of wine waste to make 1 kilogram of extract. Three primary acids found in wine grapes are tartaric, malic and citric acids. Malic acid is a naturally occurring alpha-hydroxy acid (AHA) found in fruits, vegetables and wine. Our bodies can also produce malic acid naturally through the conversion of carbohydrates into energy. Cosmetics formulators use malic acid to balance the pH levels of the skin and increase moisture retention. Using malic acid in a skin care routine may help with skin concerns like aging, pigmentation, acne or dryness. However, malic acid can also be irritating to the skin, especially around the eyes and should be used cautiously. Resveratrol, an antioxidant found in red grapes, has both chemopreventive and therapeutic effects against many diseases and disorders, including those of the skin. It is a powerful antioxidant, protecting cells against the free radicals that create age spots & wrinkles over time. Studies show protective effects of resveratrol against ultraviolet radiation helped to mediate oxidative stress and skin damage including skin cancer. Because many skin conditions stem from ultraviolet radiation and oxidative stress, this antioxidant appears to have prospects against a wide range of disorders including skin aging and skin cancers. Resveratrol is abundant in the skins and peels of grapes, berries and certain other fruits. It is in both white and red wine but found in greater quantity in red wine varieties. Resveratrol is an antimicrobial compound known as a phytoalexin, which is produced by plants to protect against adverse conditions such as excessive ultraviolet light, infections, and environmental changes. A study published in Clinical, Cosmetic, and Investigational Dermatology (2012) showed that when resveratrol was taken orally for more than 60 days, noticeable improvements occur in the skin. These improvements included skin that was less rough, had better elasticity, and some participants' age spots decreased. Another study, published in American Journal of Clinical Dermatology (2011) found that participants who used a topical gel containing resveratrol topically for 30 days reduced acne by about 54 percent, according to a Global Acne Grading System (GAGS). Limited research is available when it comes to resveratrol's anti-aging benefits as pertains to the external application to human skin. There have been some studies that suggest the compound could be beneficial. In one such study, published by the National Institutes of Health in 2005, resveratrol was applied to the skin of laboratory animals. They were then subjected to high ultraviolet radiation. Researchers discovered that the compound protected the animals' skin. Glutathione, another component found in wine, also plays a vital role in preventing oxidative damage to the skin. In addition to its various recognized biological functions, glutathione has also been associated with skin-lightening properties. It can be found in many skin-lightening cosmetics. The role of glutathione as a skin whitener was accidentally discovered as a side effect of large doses of glutathione. 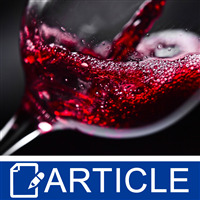 While it would seem that adding wine to cosmetic formulations would be rather beneficial, there are preservation and stability issues inherent with using wine in most cosmetics. However, for formulators who want to cash in on the benefits of wine-based raw materials while maintaining product stability, there are other options available. Grapeseed oil is probably one of the most affordable and readily accessible by-products of wine production. Available from specific varietals, such as Chardonnay grapeseed oil, this simple ingredient is one way to add a vineyard feel to your product line. Crushed grape seed, another by-product of wine production, is a readily available exfoliant that can also be quite affordable especially if you have a local vineyard, which would otherwise dispose of this useful waste product. Finally, for the formulator who prefers pharmaceutical grade extracts as additives, there are a plethora of grape-derived extracts such as resveratrol (derived from grape skins), grape stem cells, grape seed extracts and grape leaf extracts that can impart beneficial properties to formulations in a more concentrated format than wine itself. Clouatre DL, Kandaswami C. Grape seed extract. In: Coates P, Blackman M, Cragg G, et al., eds. Encyclopedia of Dietary Supplements. New York, NY: Marcel Dekker; 2005:309–325. Grape seed (Vitis vinifera, Vitis coignetiae). Natural Standard Database Web site. Accessed at www.naturalstandard.com on June 25, 2009. Weintraub A (2009-07-29). 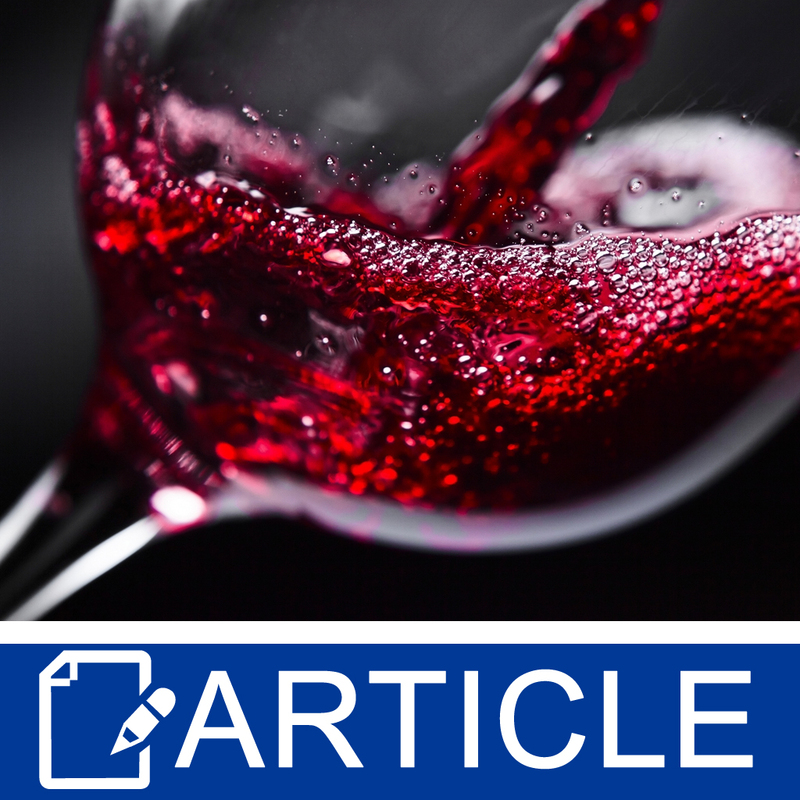 "Resveratrol: The Hard Sell on Anti-Aging". Bloomberg Businessweek.